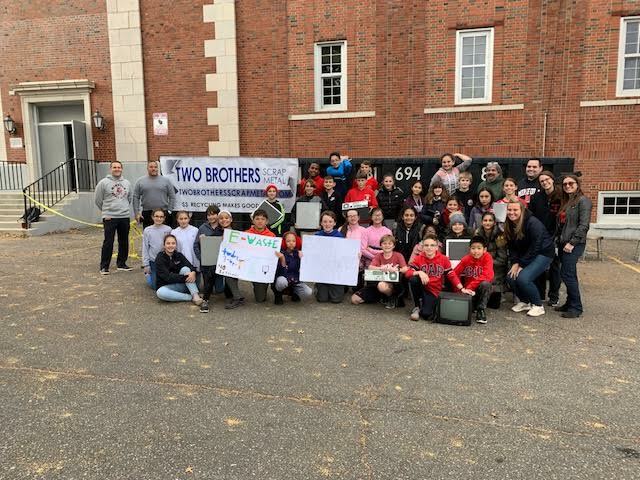 Residents of the Mineola Union Free School District purged more than 8,000 pounds of unused and unwanted electronic waste in a recent e-waste drive held at Mineola Middle School. Local company Two Brothers Scrap Metal donated the use of a container to help dispose of the equipment, which otherwise would have made its way into a local landfill. Residents were urged to properly dispose of objects such as computers, printers, televisions, chargers and other electronic items during the drive. This is the fourth year the school has held this important environmental event.